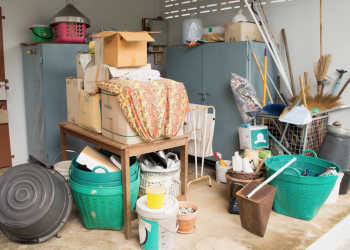 Paying to have unwanted clutter removed is never something you want to do, but a few key questions can make process less painful. Here are some things to ask your junk hauling company before you book your appointment. Asking these key questions will help you minimize costs and maximize space. 1. Are your estimates free? Getting the best price starts with being able to compare prices. While you can get a quote over the phone, a free in person estimate will always be the most accurate because the person giving the estimate is able to see all of the items and visualize how to best pack them to minimize space. 2. How do you price? You want to be sure you hire someone that charges by volume. Debris companies will charge you to drop off box, but you pay for the entire box rather than the volume your items take up. 3. Are you insured? This one will not get you a great price, but it will clear you from all liability if someone gets hurt on your property. In our opinion, this one is priceless. 4. Do you have any coupons available? Junk King offers $30 off when you book online, but if you ask on the phone our call center will also honor this coupon. It never hurts to ask if there is a coupon or promotion that can help you out. This entry was posted in junk hauler, junk hauling, junk removal, Uncategorized and tagged clutter removal, junk hauling, junk removal on May 30, 2015 by barbara. Last updated May 11, 2015 .